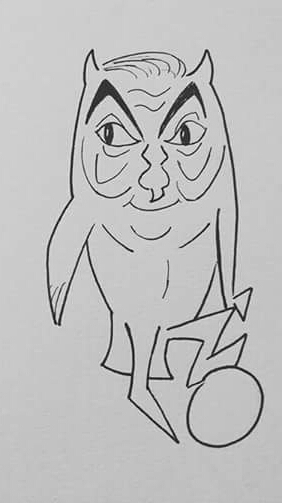 Here is a drawing of Carlos as an Owl by Alan Hartley. Is that Count Dracowla ? I thinks he's got the hair right. Its Carlos? And it's an Owl? Glad you were on hand to clear that up.